• SINGER songwriter Seal’s sensational new album Soul has hit stores. Soul, an album of covers of classic tracks by the distinctive Seal, features reworkings of tracks such as Ann Peebles’s I Can’t Stand The Rain, Otis Redding’s Knock On Wood and Ben E King’s Stand By Me. 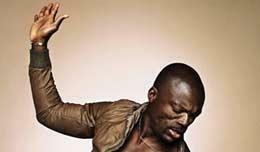 Seal said: “Someone once said ‘the album will sound like the time you had making it’. • Enya’s new single, Trains And Winter Rains, is now available to buy. The track is the first single to be taken from Enya’s seventh studio album, the forthcoming And Winter Came. • Aiming to prove he’s not just all talk, Sir Michael Parkinson has released a new compilation album, titled My Life in Music. The two-disc release features artists that have influenced the chat-show king, including Frank Sinatra, Sting and Michael Buble. • Bluesman Seasick Steve has strut into the charts with a new single. Walkin’ Man is a bluesy, laid-back track taken from his latest album, I Started Out With Nothing And I Still Got Most Of It Left. • Superclub Ministry Of Sound releases a second Anthems compilation on November 17. The latest compilation covers 1991 to the present day over three CDs, and features tracks by Orbital, Snap!, Faithless, Robert Miles, Modjo, Sash!, Underworld, Arand Van Helden, Prodigy, Daft Punk and many more. • Mixing influences from klezmer to reggae to pop, Esser’s new single Satisfied, stands alone. The retro-sounding single from the up-and-coming star is available from November 17. • MOBO nominee Asa releases a new single, No One Knows, on November 24. The soulful single is a slice of the singer’s world-meets-soul style, captured on her self-titled debut album. • Kid Rock is set to storm the charts again, following from his number one hit All Summer Long. The rocker’s next track from the album Rock And Roll Jesus is Roll On, a tender ballad. • Legendary singer songwriter Neil Young’s seminal 1968 live set at Canturbury House is to be released. The archive Sugar Mountain Live performance, one of his first as a budding solo star, hits shelves on November 24. • If all of this is music to your ears, you can read more from the pop world online at http://www.echoisaacashe.blogspot.com/.